The main character in this book is half Native American and half Irish American. Her name is Juliet and she is torn between her Native American life and the fitting in at the private school her Native American lawyer mother decided to send her. At first the novel seems like it is going to be about the struggle of trying to fit into two worlds which I can imagine many Native American youth may feel. However this is a fantasy book and the fantasy involves aliens. As Native American medicine men begin to be murdered around the area, Juliet begins to worry that her grandfather, who is also a medicine man, may be involved. Her grandfather helped bring her up since her father was in prison and out of the picture her entire life. She of course always thinks he is half crazy for the things he says about the Wind Spirit and the Coyote and other more ancient beliefs. As she unravels the mystery with the help of her friends she discovers more about herself and her grandfather. This book is a page turner. I have to admit we had a rather late dinner last night because Steve took Hazel swimming and I was reading while they were gone and could not put the book down even after they returned and got dinner on a bit late. I stayed up and finished the book last night. The story flows so well and most of it seems possible. I loved the focus on the Native American culture as well as the struggles of many of the Native Americans in our society while maintaining their own culture and traditions. 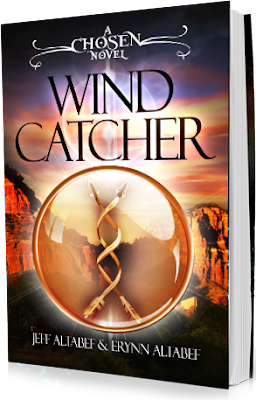 If you liked the Twilight Saga, you will love Wind Catcher and if you have a young adult in your life, this is a great recommendation for them as well. It is a great book!! It has won several awards including Moms Choice Award and Awesome Indies Seal of Approval. I hope you will check this one out. I have also reviewed X by lyasah Shabazz with Kekla Magoon which is another great multicultural young adult book.